I find it so satisfying to make a whole bunch of homemade fudge especially this Cranberry & Pecan Five Minute fudge. 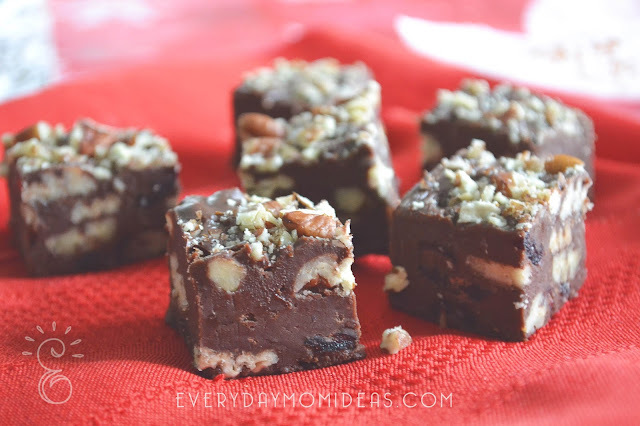 Mostly because this fudge recipe is so quick to make but taste oh so special. There are tons of ways to dress up five minute microwave fudge but I have to say this is the most festive and has the most decadent taste. I love serving this up or giving this away as a great neighbor gift during the cold winter holidays like, Thanksgiving, Christmas, New Years, or even Valentines. 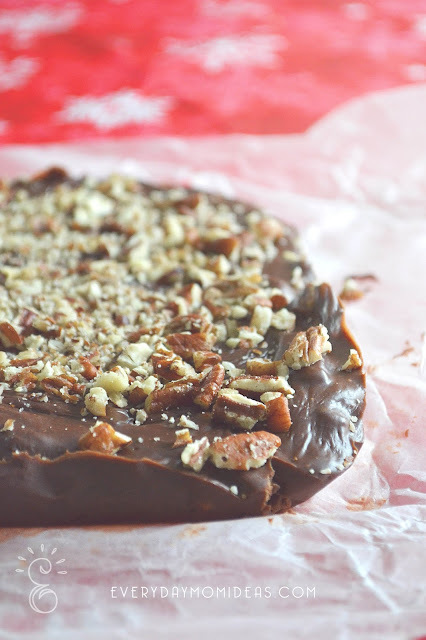 During the summer I skip the cranberries and substitute it for toffee bits or a caramel swirl. Combine the chocolate, the vanilla, the milk, the butter, the nuts and the raisins in a medium size microwave safe bowl and heat in the microwave for 90 seconds. Stir to combine and heat another 15 seconds if needed. Scoop onto a square 8x8 parchment lined tray. Spread out fudge mixture to approximately 1-inch thickness. Top with remaining chopped pecans. Chill in fridge until fudge is firm. Cut into 1-inch squares and cover with lid. 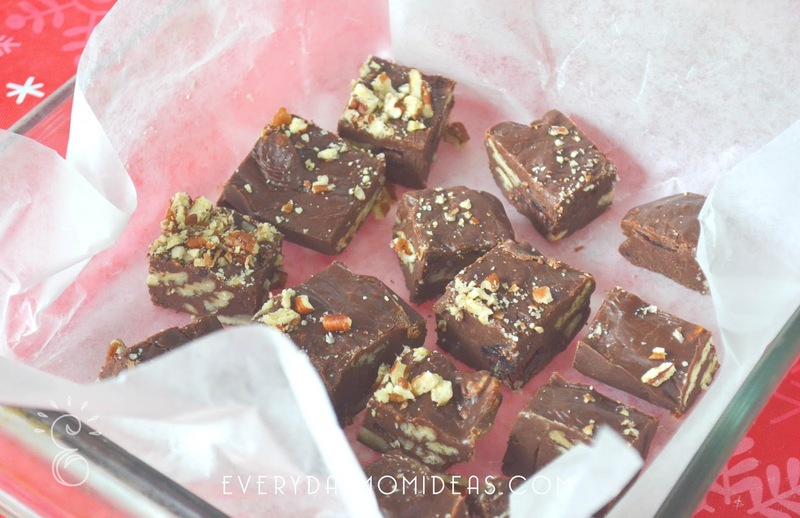 This fudge keeps in the refrigerator for up to a week. Enjoy! If you found this recipe valuable please share it with your friends and family on Pinterest with this Pinterest friendly image below.